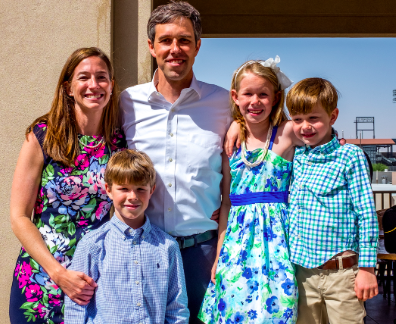 I expect you know about Beto O’Rourke and the bother he’s got himself into. Beto is one of the many candidates running for presidential nomination by the US Democrats. He had hardly started campaigning when he had to back off, retract and repent. For why? For because he had said in a speech that his wife is busy raising their three children “sometimes with my help”. “Not only will I not say that again, but I’ll be more thoughtful going forward in the way that I talk about our marriage, and also the way in which I acknowledge the truth of the criticism that I have enjoyed white privilege”. EH? The guy made a self-deprecatory comment about how he didn’t give as much time to his kids as he probably should. Which sounds like pretty well most fathers I know, except they’re slower to admit it. But Beto has had to apologise for saying his wife was a better parent than him. He’s also had to dissociate himself completely and emphatically from some smart-arse stuff he wrote about reckless driving when he was fifteen. Yes, Virginia, I said FIFTEEN. His critics appear to have forgotten that dumb is what you do when you’re fifteen: you say dumb things, you do dumb things, you are, from the crown of your head to the soles of your feet, dumb. But Beto has had to apologise for being dumb at fifteen and say he’ll never do it again sort of thing. This is moralizing gone mad. Being liberal in outlook is one thing, but insisting that everyone else lives up to the standards you’ve embraced is – or should be – another. I used to think a liberal view on life meant being open to and tolerant of difference, be that different skin colour, race, religion, sexuality, politics, whatever you’re having yourself. Lately I’ve begun to wonder. I had a conversation a few months back with a man who said that in religious terms, Ireland has flipped. For decades we had the clergy of the Catholic Church running the show and insisting we all got to Mass on Sundays and not entertain bad thoughts, and God pity anyone who acted or even argued differently. These days, this man suggested, we’ve grabbed the bishop’s crozier. If you say that you’re a practicing Catholic these days, you get a liberal reaction that comes somewhere on the spectrum between funny looks and whispers to keep the children well away from that boy. During the abortion debate in the south, those of a liberal view were generally in favour of repealing the Eighth Amendment, and saw themselves as progressive and more enlightened than those with a different view on the Eighth, who were denounced as patriarchal, rosary-bead-thumbing, misogynistic dinosaurs. Rational discussion took a two-month holiday. There are some who’d claim that anti-abortionists and men who don’t do as much of the child-rearing as their wives/partners are all part of the rise of right-wing fascism on both sides of the Atlantic. They could be right. They could also be wrong. Maybe some of those who flocked to the likes of Trump did so because they got fed up with contemporary moralisers. Maybe they were driven a little mad by the liberal thought-police who don’t mind what you say or do, as long as it fits exactly with what they consider acceptable in word and deed. Free speech, to quote Father Jack, my arse.